A bus station is probably one of the last places you’d expect to find the Picky Peaches having lunch. Frankly, we never expected to eat in one either, but it just goes to show that Forrest Gump’s mother was right when she said, “Life is like a box of chocolates, you never know what you’re gonna get.” Before you go assuming the worst, let us assure you that this was a delightful experience in a lovely setting and that’s why The Grey Restaurant in Savannah, Georgia is the 9th installment of Peaches on the Road. 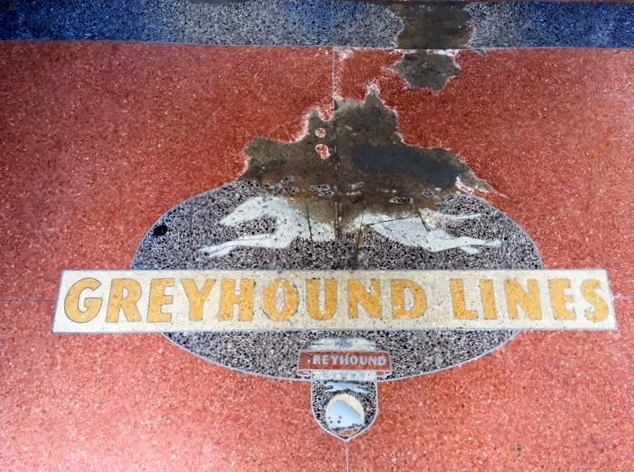 The Grey occupies a painstakingly restored Art Deco Greyhound Bus Terminal that dates to 1938. The attention to detail is astounding. The polished chrome and woodwork are lovely. 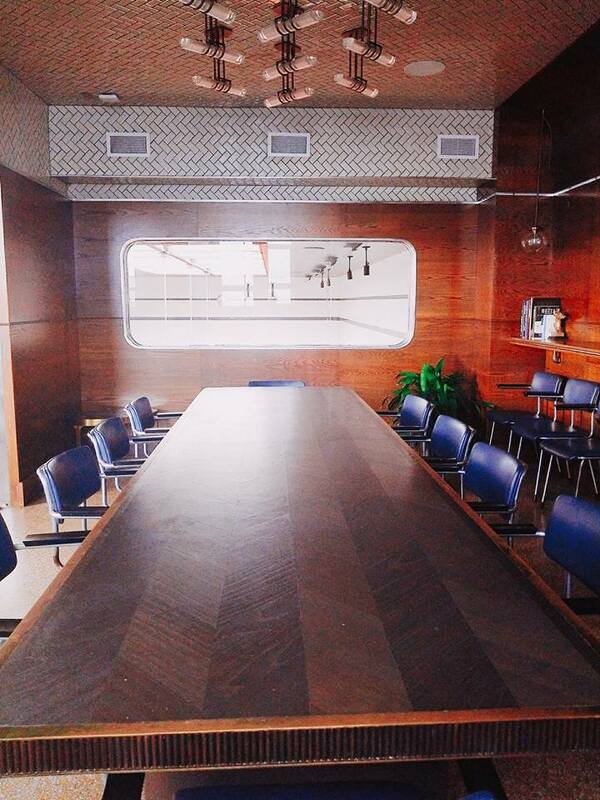 It reminded us so much of a Mad Men set that we half expected to see the dashing Don Draper walk in any second. We enjoyed a delightful lunch there, and we aren’t the only ones who think it’s pretty special. 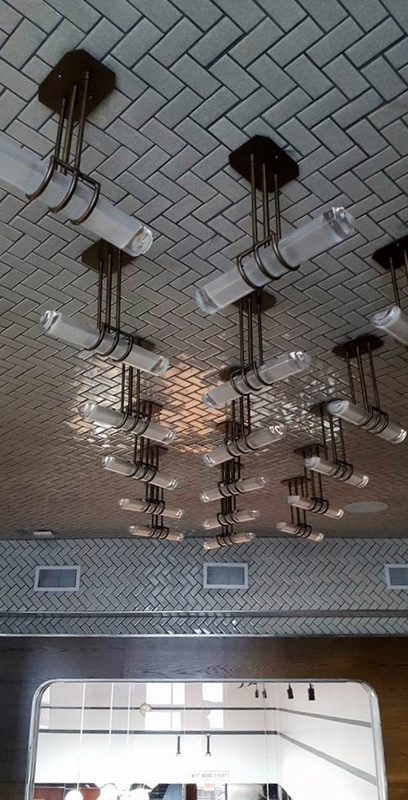 Dinner at The Grey has been featured in Architectural Digest, Bon Appetit, Elle, The New York Times, the Wall Street Journal, The Washington Post, and Garden & Gun. Note to Atlanta: Just because a building is old, doesn’t necessarily mean that it should be torn down. 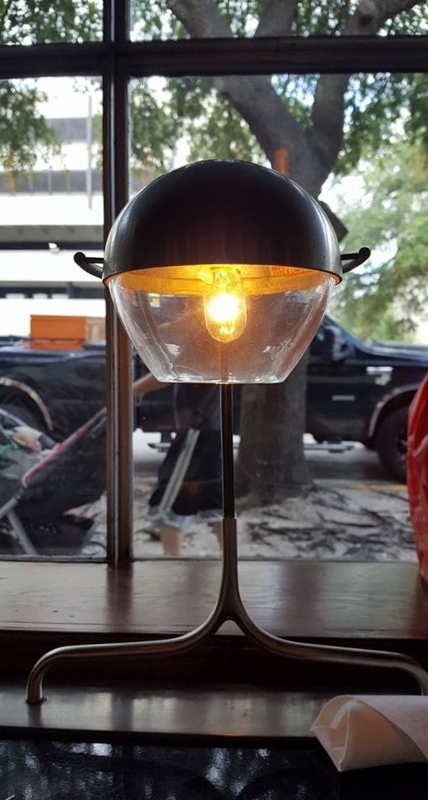 The retro vibe isn’t only part of the decor. It’s reflected in the menu as well, right down to the whimsical, eco-friendly, striped, paper straw in the drinks. Many of the menu items may sound familiar, but, rest assured, The Grey has added a twist. Keep reading to find out what we mean by that. 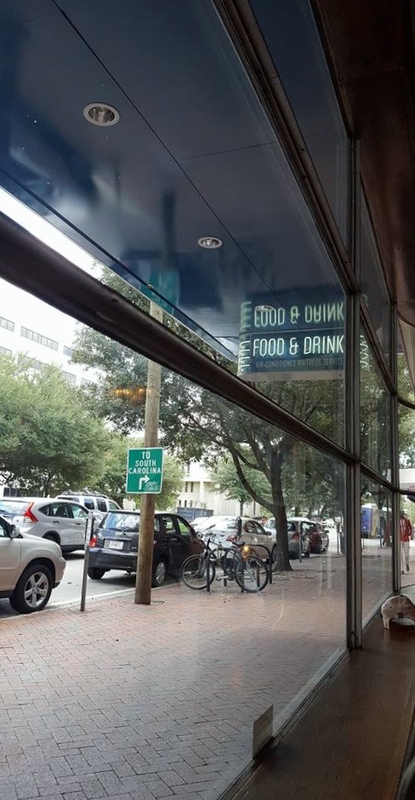 Since we were there at lunchtime, we ate in the Diner Bar. From the moment we walked in the door, we were made to feel welcome. The service was impeccable, with our server graciously answering our multitude of questions. Since it’s called the Diner Bar, it would be a shame to miss out on having a cocktail, especially since the mixologist is so creative and makes the drinks from scratch. 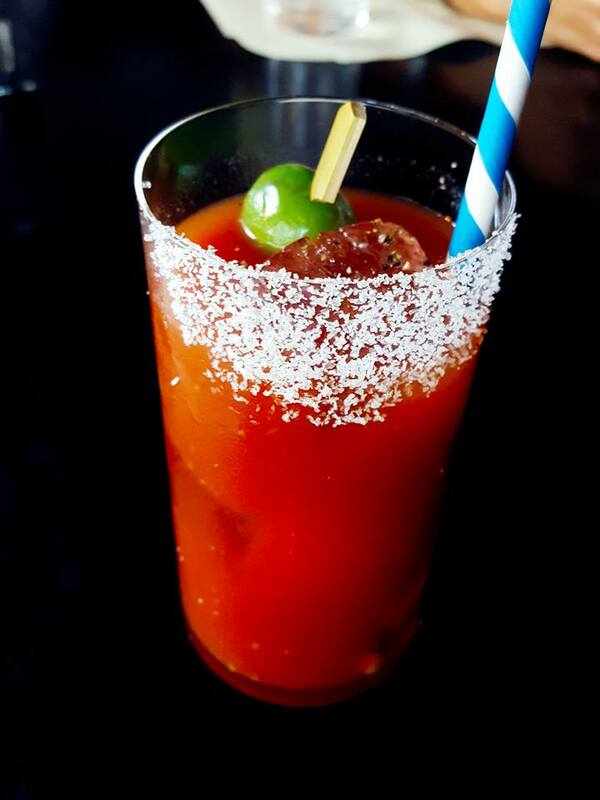 The Bloody Mary has been elevated to a whole new level with a savory blend of tomato juice, pepper, horseradish, olive juice and a surprise ingredient, sherry. If you’re looking for something a little lighter, try the fruity, refreshing Summer Spritz. 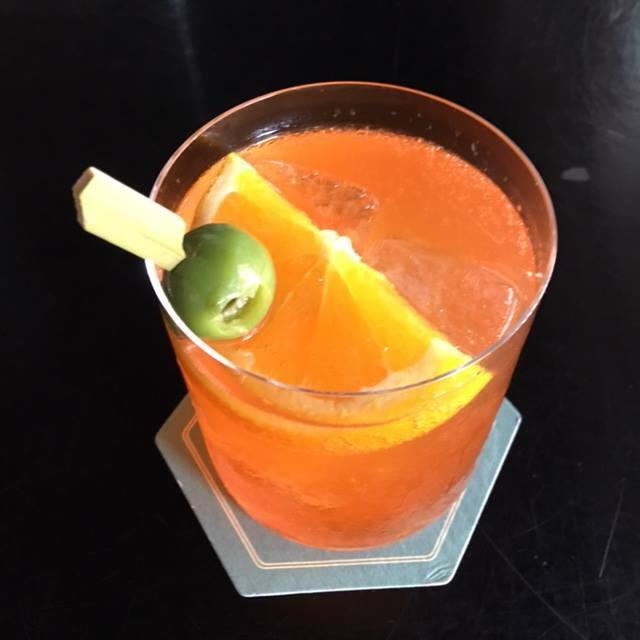 It’s a fresh take on the traditional Aperol Spritz, which is a blend of Aprerol, prosecco and club soda. You won’t be disappointed. So many of the entrees looked like they’d be delicious, that it really was tough deciding what to order. 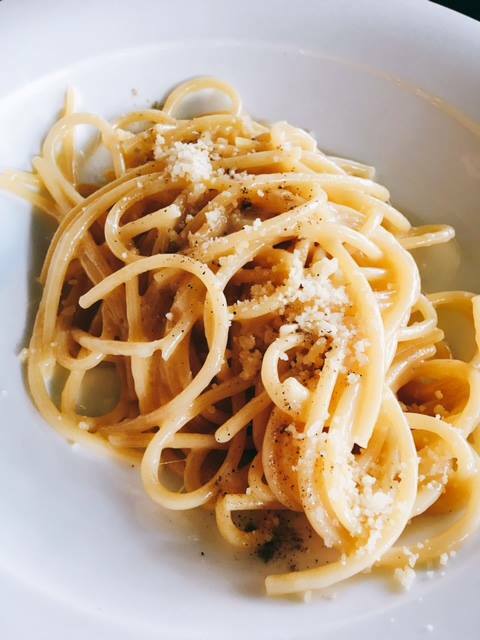 The Cacio e Pepe is a very simple dish and the chef nailed it. We’ll put it this way, it tastes exactly like it would at an authentic sidewalk cafe in Italy. It’s only pasta, in this case bucatini, cracked pepper and Parmesan cheese, but it’s simply delicious. The mouthwatering Smoked Brisket Sandwich contains a sublime blend of pickled onion and Creole BBQ, on a potato roll. 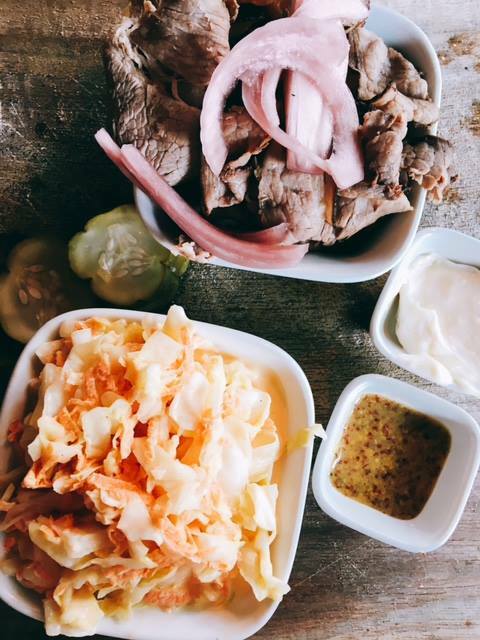 The perfectly smoked, tender brisket is accompanied by crisp, tasty coleslaw. It is so scrumptious, that those of you who are gluten-intolerant, or counting carbs, can order it without the bun and not feel deprived at all. With Savannah so close to the Atlantic, it would be a shame not to have some seafood. 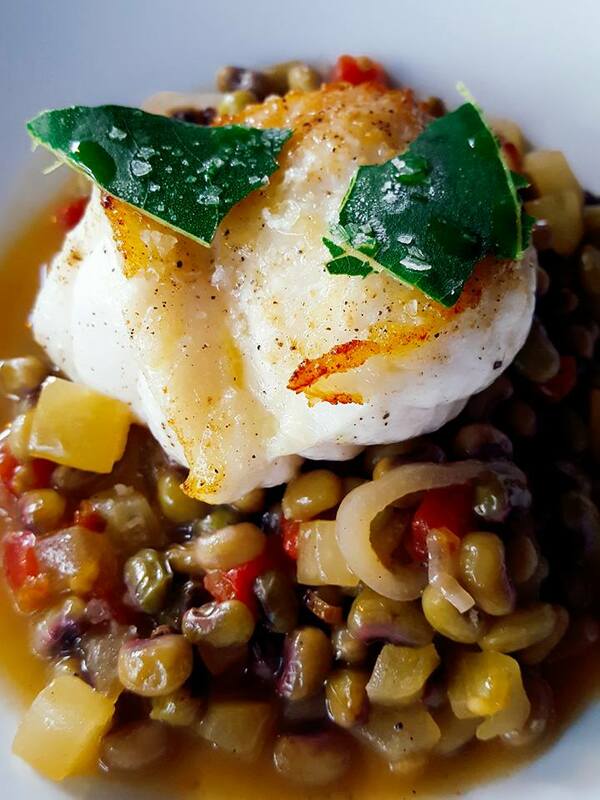 The Pan Roasted Grouper, served on top of field peas, tomato and fig leaves, is scrumptious. If we hadn’t been in public, one of us would have turned up the bowl to drink the broth. It’s that good! 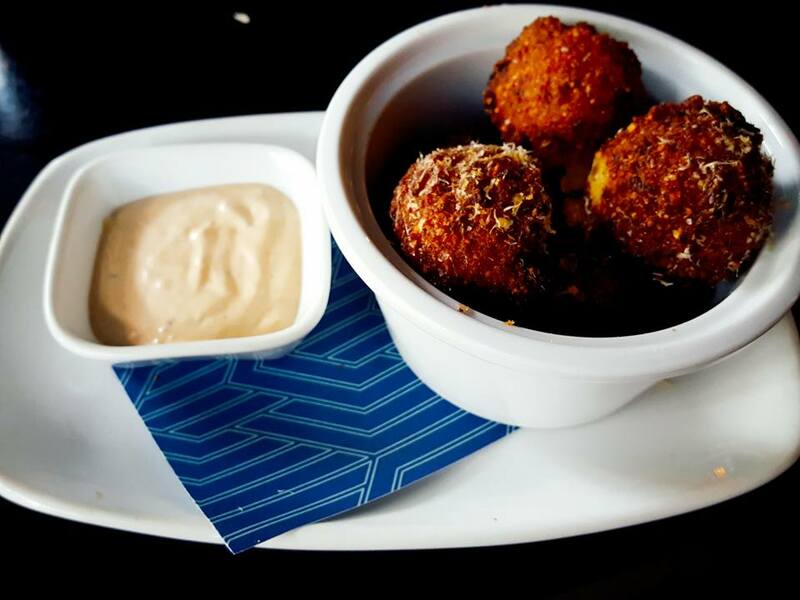 Order the Shrimp Hushpuppies to share. They’re listed as a side, but we ordered them as an appetizer and we’re so glad we did. These have chopped, fresh shrimp mixed into the traditional hushpuppy batter. P1 & P3 said in unison, “Best hushpuppies I ever had!” And that’s saying something for two gals who’ve eaten as many hushpuppies as we have. Be sure to save room for dessert. We know you think we say that all the time, but seriously, you don’t want to miss out. Even the desserts are retro. 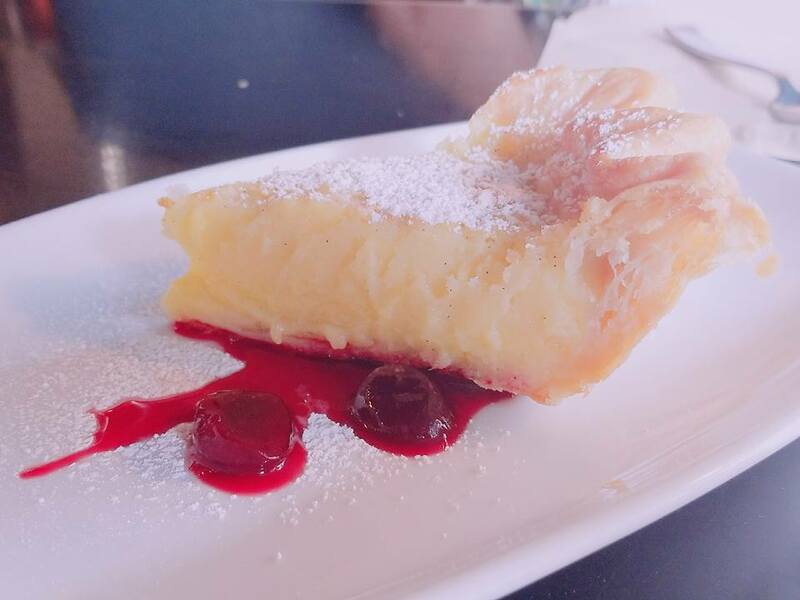 When was the last time you had Buttermilk Pie? This one tastes just like grandma used to make and it comes with a swirl of cherry coulis. Psst! 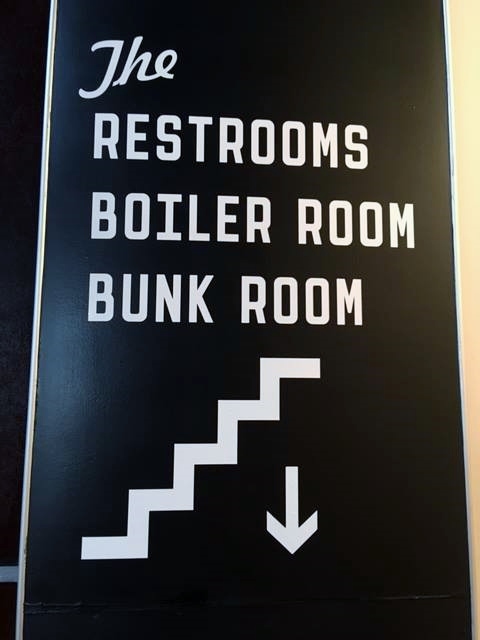 The restrooms are worth a visit for all the sightseeing on the way downstairs to them. Seriously, do take some time to wander around this fascinating gem. You can even go upstairs for a view from a window overlooking the main dining room. It’s quite an experience. Find parking on the street or in the parking deck across the street. The Grey, 109 Martin Luther King, Jr. Boulevard, Savannah, Georgia. Diner Bar: Tuesday – Saturday 11:30 a.m. – 11:00 p.m.; Sunday 4:00 p.m.- 11:00 p.m.; Tuesday – Thursday 4:00 p.m. – 11:00 p.m.; Friday- Saturday 4 p.m. – midnight. Friday – Saturday 5:30 p.m. – 11:00 p.m. 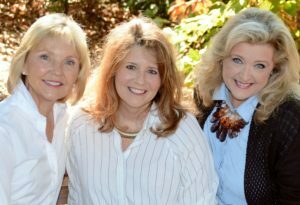 When you visit any of the places on our blog, please tell them you saw it on pickypeaches.com. 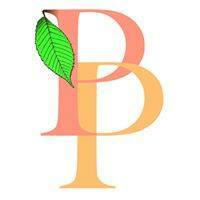 Remember to “like” and “share” our Picky Peaches page on Facebook. Also, click the “RSS” button in the lower left corner of this page to follow our blog posts. We don’t want you to miss a thing! After that delicious lunch, stroll around the corner for a delightful shopping experience. Join us next week and we’ll tell you all about it. 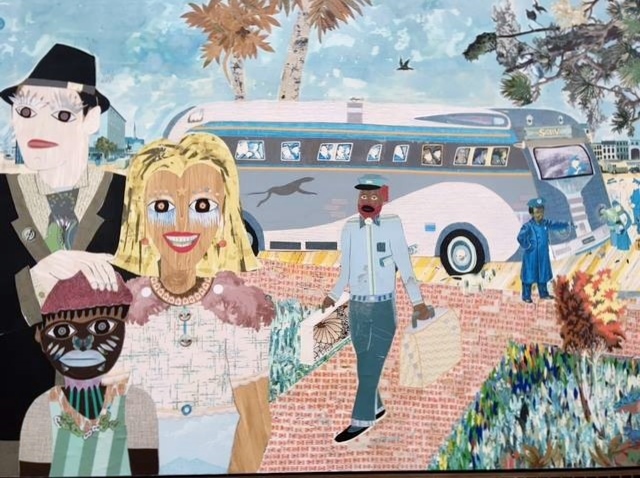 Well, get me to the bus station in Savannah! How much fun you must have had, and isn’t it awesome to find these little gems hidden in places we would normally never enter! Woot! Great time in a Retro place in old Savannah!